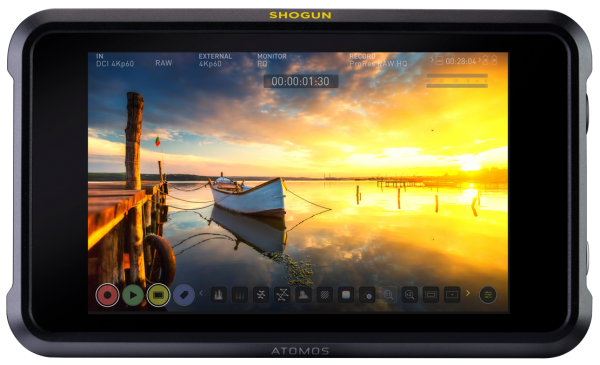 Atomos Shogun 7 is a precision HDR monitor-recorder-switcher designed for the film and video professional. It can be used as either a stand-alone field monitor, recorder and switcher for event, documentary and live in-the-field storytelling; or as a tool for large-scale on-set episodic TV, film and cinema productions where multiple crew members such as focus pullers, grips and cinematographers require a consistent visual reference across the field monitor ecosystem. Shogun 7’s portable size lets you monitor, analyze and tag while on set; and check how your content will look in your audience’s home via real-time Dolby Vision output. With Shogun 7 you’re not locked into any format, camera manufacturer or pipeline. It is a completely flexible master recording and production station.